COBO CENTER (WXYZ) — Infiniti is showing off the QX Inspiration concept at the North American International Auto Show, as they promise to "electrify" their entire fleet starting in 2021. Infiniti is calling the Inspiration the first car in an all new era of electrification. The interior is designed to be a lounge area, rather than the interior of a automobile. However, the automaker may have had technical problems, because the car was not brought out during their press conference. 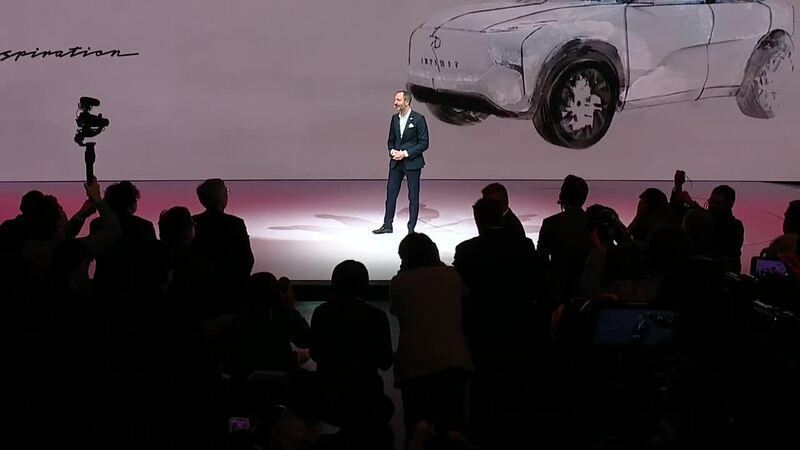 Infiniti promised the assembled media that it would be out "shortly." Infiniti's promise of an electric fleet means all Infiniti models will be plug-in hybrids or all-electric. Nissan is also showing off an all new, less expensive all-electic car at the show as a preview of its electric car plans.